“I say, let the world go to hell, but I should always have my tea”, wrote Dostoyevsky once. Tolstoy and Chekhov admittedly agreed with him and the case was closed long before we had any say in it! Against all odds, the national beverage of Russia is unmistakably tea. However, there is more to Russia than only tea or vodka. Russia has a wide range of diverse traditional drinks to offer that serve different purposes. Some of them are used to cool off during Russia’s hot summers, others allow some comfort and warmth during its cold winters. 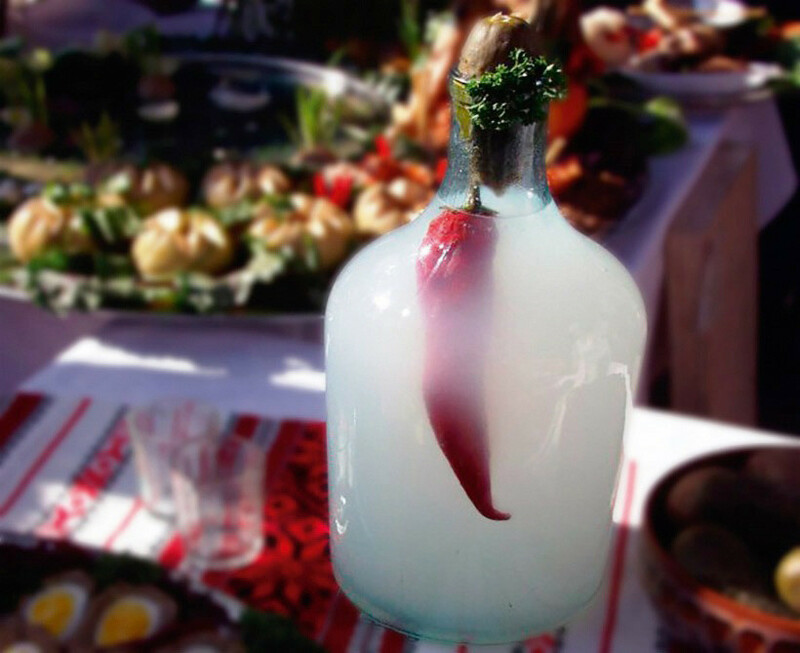 Since the vast majority of the Russian population consisted of peasants until quite recently in history, some drinks were and are still used as folk remedies. Whether it be alcoholic or not, they all have one common feature. 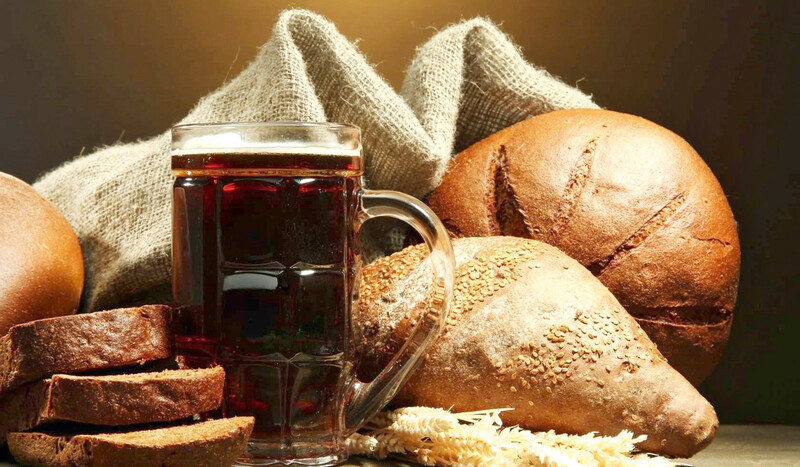 Traditional Russian drinks are of high nutritional value since they are based on only natural, raw ingredients, like bread or flour, berry or other fruit juices, and honey. Here is an overview of the most prominent national beverages that we prepared for you, each one of them accompanied by some facts you probably did not know. But first thing’s first! Let us start with tea, since it is not our intention to quarrel with Russia’s most eminent writers and thinkers. 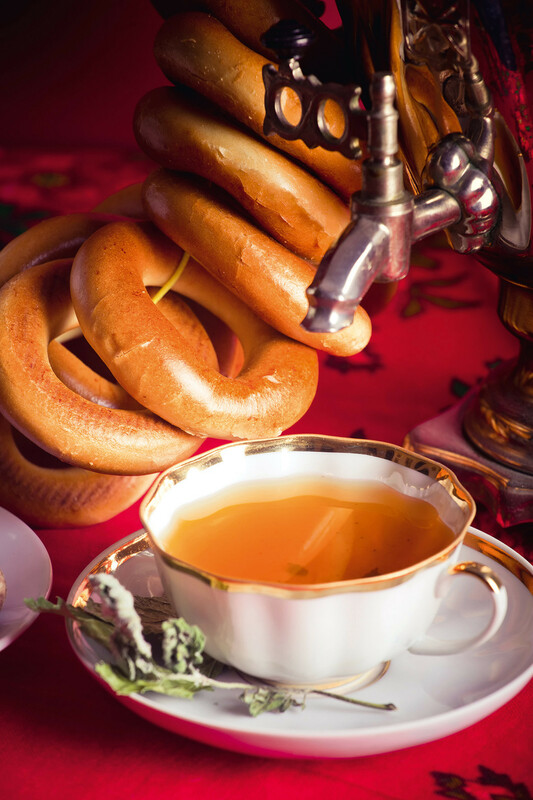 From its introduction onwards, tea has been widespread in Russia. Tea is a recurring element in the literary works of the above-mentioned writers and the drink structures the days of Russia’s population. Tea was prepared in large containers called samovars, which were an important source of heat in many unheated houses of serfs and peasants. Today, the samovars are replaced by the tea-press (chainik) or a large teapot, but one thing is for sure: Russians still prefer to use tea leafs instead of tea-bags, which allows them to add some wild herbs such as currant leaves (smorodina) or lingonberry leaves (brusnika), both of which have medicinal properties; spicy teas are used for their warming effects. 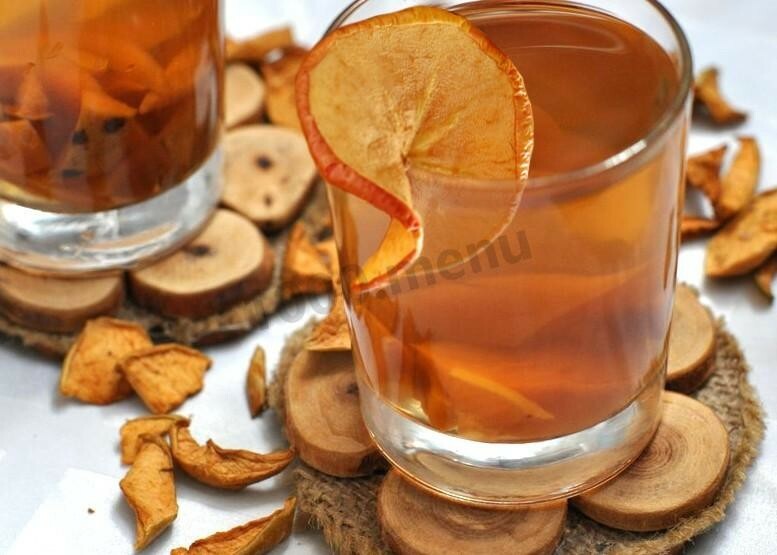 Another typical winter drink that will make you wish for winter all year round is sbiten. 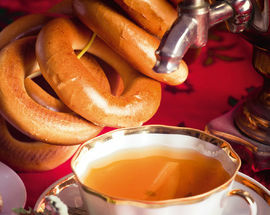 This is a boiled honey drink with spices such as cinnamon, clove and orange or lemon juice. 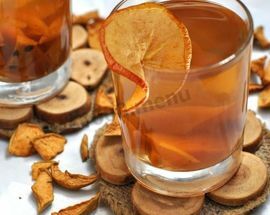 Before the massive arrival of tea leafs in Russia after Russian healers had used it as a remedy to relieve Tsar Alexei Mikhailovich’s stomach ache, sbiten was commonly drank for its medicinal characteristics. For a tasty alcoholic and contemporary option, the whole mixture should be boiled with red wine instead of water. Honey is a recurring ingredient since it was used as a natural sweetener and as a preservation technique. Other honey-based drink is medovukha. 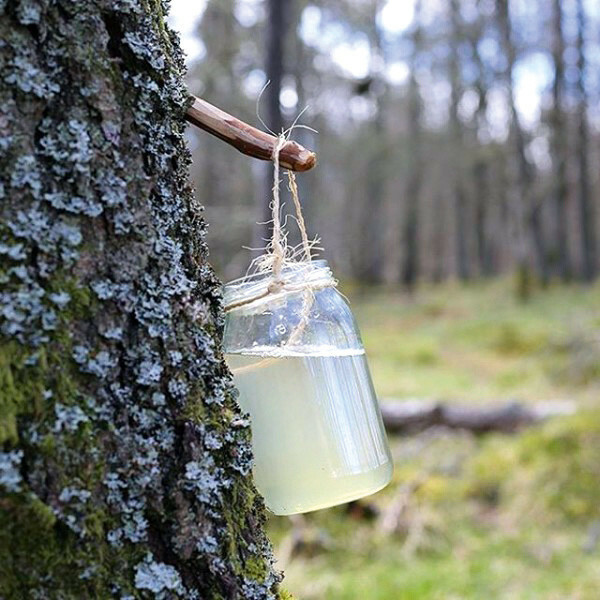 Medovukha became a folk drink upon the discovery that fermentation occurred much faster when honey is heated. It is a much simpler and cheaper version than mead and therefore more accessible. Traditionally, medovukha is a light alcoholic drink consisting of honey and yeast. However, today it is being produced with different levels of alcohol (or even alcohol-free) and with spices including ginger, cinnamon, cloves, chilli and rosemary, that traditionally complement the taste of honey. For those among us who have a sweet tooth, Russia has it all! A fruit jelly dessert based on a legendary myth that can be served as a drink. Yes, this legendary drink has a name: kissel. The main ingredients are juice (cranberry, blackcurrant, cherry), sugar, water and potato starch. Since it is thickened by potato starch, which renders it very nourishing and nutritional, this sour drink’s texture is rather sticky and dense. 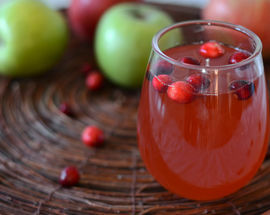 The latter differs kissel from kompot (which contains fruit), mors or other regular juices. Legend has it that this drink saved a besieged Russian city in the 10th century. Moreover, Russia is home to a wide range of berries including cranberry, blueberry, raspberry or strawberry, and mors is an excellent way to preserve them. 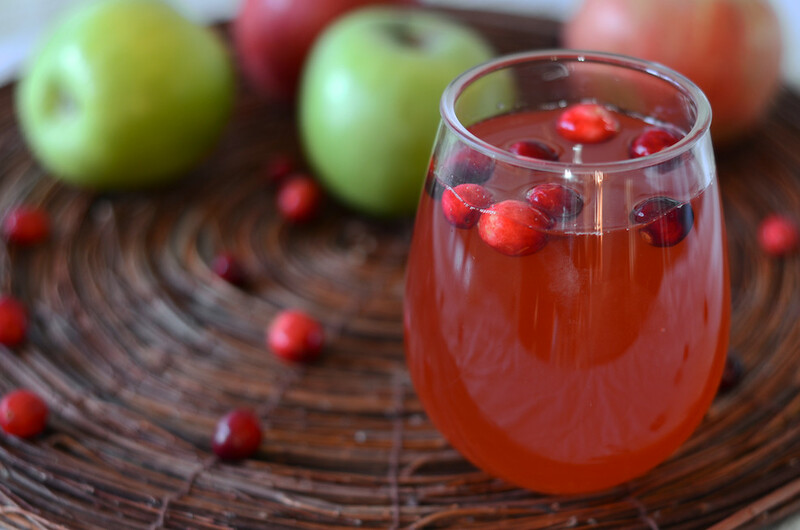 This berry drink is mixed with water and left to ferment. In the good old days, barrels of mors (with a little percentage of alcohol) were conserved until next summer and served as a valuable source of vitamins. Today, mors is abundantly present in cantines (stolovaya), national fast-food chains and grocery stores! 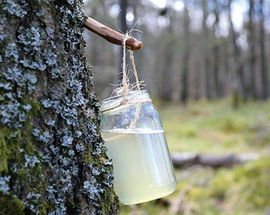 Birch tree juice (beryozovy sok) - or the “divine nectar” - is a must-try! This water-like sweet and cooling liquid is often left out of most traditional drink lists, even though it is largely venerated in songs dedicated to the love of the Motherland. Interestingly, the birch tree appears to be a sacred tree in times of Slavic paganism. Not anything that tastes good is bad for you...At least not for the ones who have tried kvass before! This “bread drink” is a double-fermented beverage having a similar taste to beer and is believed to have a lot of benefits to your health. 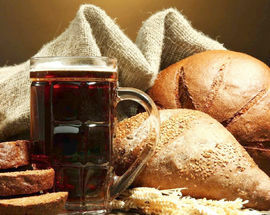 There are many ways of preparing kvass, but commonly it is made of salt, sugar, rye and wheat malt. It is considered to be a non-alcoholic beverage, but can contain a percentage of alcohol up to 1%. Kvass can be white or dark and it is believed that white kvass is the traditional Slavic recipe. Rumor has it that dark kvass was introduced in the Khrushchev period as an alternative to Pepsi-Cola, or simply as an attempt to match the increasing popularity for dark beers. Although the list is far from done, let us now discuss vodka, samogon (moonshine) and the different nastoyki. Nastoyka literally means potion, liqueur or tincture, which might indicate the existence of medicinal origins. This alcohol tincture helped to preserve the natural substances in herbs and fruit. Today, nastoyka is drank in shots or as an aperitif and comes in such diversity that one can hardly find one tenth of it outside Russia. It’s an alcoholic mixture with delicious aromas, spices, herbs and fruits. Vodka is an alcoholic drink (40%) obtained upon the distillation of any plant matter rich in starch. In Russia traditionally this plant is rye. It being largely tasteless, this alcoholic beverage is a very pleasant accompaniment during meals. Vodka is commonly drank in a communal setting and therefore has its own drinking rituals and conventions. Vodka only differs from samogon due to the different distillation processes. Samogon was traditionally a home-distilled drink, however this is not the case anymore. Vodka or chai? We’ll let you decide. 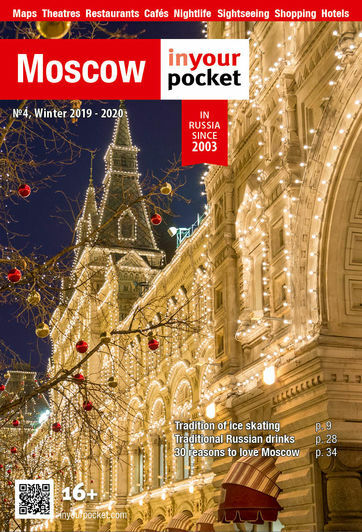 But, let us lastly share with you an extra fact as a bonus: Russians do not really drink to one’s health or just to health in general (za zdarovye). If they haven’t told you this by now, it is probably to spare your feelings. Russians get very creative with toasts, however there is a certain set of rules for all things living and dead. The first toast is regularly spoken in honor of the meeting (za vstrechu or za znakomstvo), the occasion or the host that gathered everyone together. After the first toast, one should drink to the parents (za roditeley). Those who could not make it and who are not with us are remembered in the third toast (za tekh kovo nyet s nami). And finally, the fourth drink is accompanied by the formula “to those who are at sea” (za tekh kto v more), which is a call to remember those who are far away and/or find themselves in difficult circumstances. The most fun toast – and our favorite one – is the one for the road (na pososhok), of course!